Service marketplace is an online platform which connects service seeker and service provider so that the service provider can offer services to the service seeker. Here we will discuss how to create a service marketplace website. How to set up the marketplace in Laravel? For example, Suppose you want to get a flat without using an online tool. Then you have to go to that place and check the requirement according to you. This is so hectic to go and check daily. Using an online service marketplace you can just fill the requirements online, then the service provider will contact you and you will get a flat as per your choice very quickly. Now every service provider has moved on to an online platform to provide services to the customer very quickly. As we can see the popularity of Uber, Airbnb, and Urban Clap is growing day by day. Service Marketplace makes easy and suitable service management. A service seeker can easily order and monitor for services until everything’s completed. They can also ask the service provider for extra service so that they can match their requirement. The customer can easily purchase services and pay for it via an online service marketplace. Online Service Marketplace removes the bigger problem of the consumer while searching service like researching, contacting and transactions. These all can be done within a minute by sitting at your home. Then there is also cost advantages for the service provider. There is less need for physical service location and advertisement strategies. This also effects on price which consumer pay. 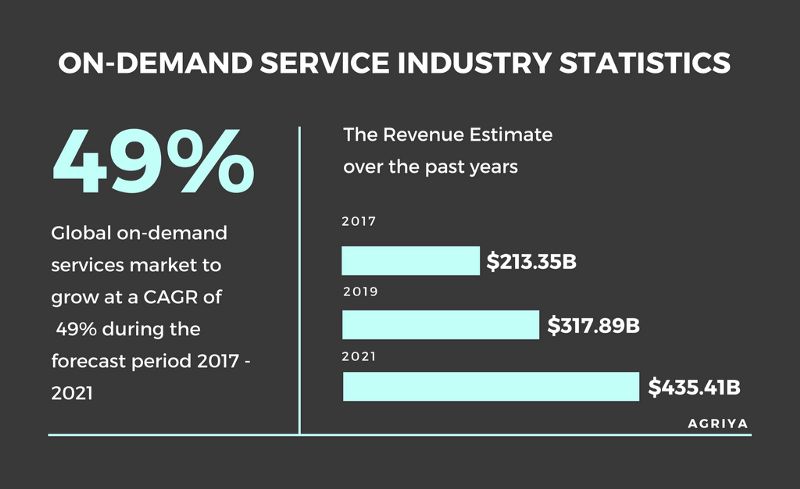 According to the Statista, Revenue of Service Marketplace Will increase by $435.41 billion until 2021. Urban clap is the largest online service marketplace which allows consumer can find any service professional like the wedding, interior designer, photographer etc. Urban clap grows day by day now it becomes the largest service marketplace in India. It has more than 20,000 service provider across 75 categories. Uber is a successful service marketplace. It provides service of riding cab, it allows consumer can book private or share cab through mobile with few steps only. It was founded in 2009 by Travis Kalanick. According to the Statista, Uber’s employee worldwide in 2017 and 2018 is 63.9%, 62% respectively. As 38% of a female employee on Uber in 2018. 51% of Uber’s booking has been increased from last year and the company gains $2.5 billion from selling the business. How you can create a service marketplace website? Staring a service kind of marketplace involves a good tech stack and approach. Here are a few steps you can follow for a service marketplace. For creating a service marketplace you have to choose the service platform which should be robust, scalable and offers basic functionality needed to create service kind of marketplace. Nowadays, there are lots of platform like OpenCart, Bagisto, Magento, PrestaShop, WooCommerce etc amongst which you can make your decision. Choosing the right domain is important for branding and marketing for the website. You have to make sure while choosing a domain that will be fit for your business. Website design is the most important to successfully growth of your e-commerce website. Create the design that is user-friendly so that end user can easily access the e-commerce platform. Once you will do all the setup of your website now its time to launch your website! 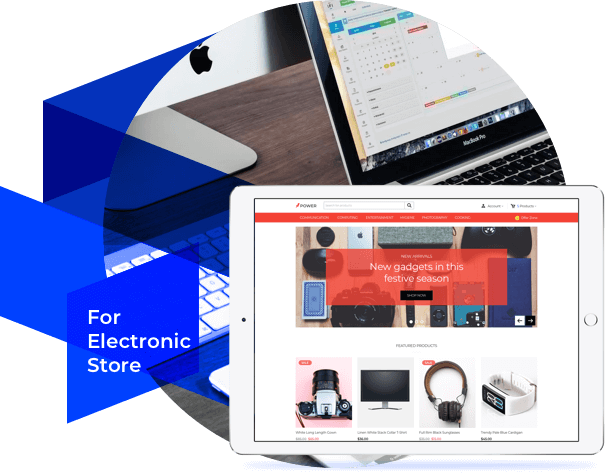 Bagisto is an open source e-commerce service marketplace which is built on laravel. It supports multi-vendor market place so that multiple service providers come together and provide services to the service seeker on a single platform. The service provider can customize their shop they also remove or add services. They also can change the profile page and shop information. Bagisto supports multiple website features so that you can create multiple websites by a single instance of bagisto. for example, if you want to provide services like home appliance services, Shifting services, interior design services. so you can make multiple websites. Admin can set a global commission for the service provider. 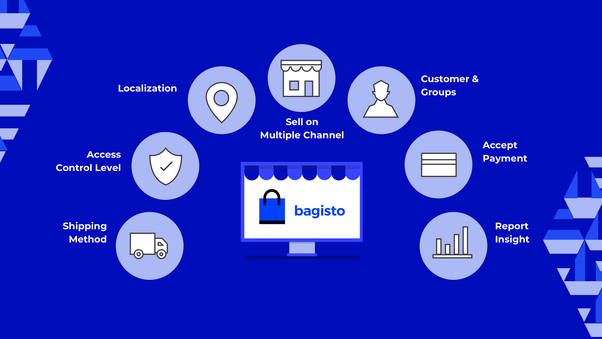 If you want to create an online service marketplace, feel free to connect Bagisto Helpdesk or follow Bagisto Tutorials and our official Bagisto Forum. © Copyright 2010-2018, Webkul Software (Registered in India). All rights reserved.